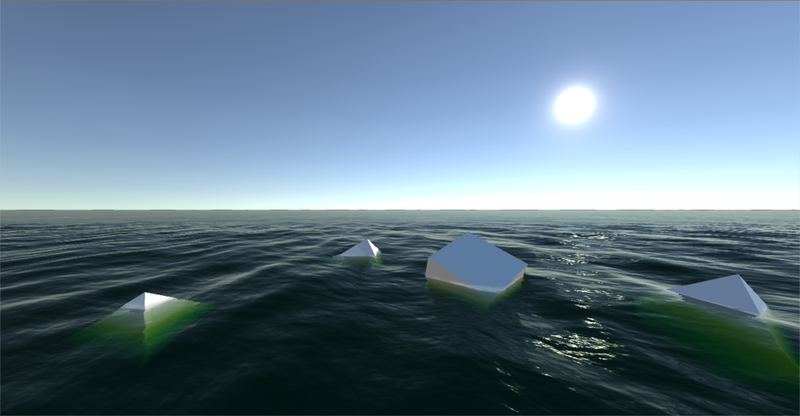 The Ocean Toolkit is a code package for the Unity3D game engine that brings realistic infinite ocean rendering to your project. The water surface is offset according to a custom wave function which can be used to control large scale waves. Small scale waves are realized using scrolling normal maps. The toolkit is easy to use and does not require any coding. Works with the GO Buoyancy Toolkit (v2) out of the box. There is currently no image effect for when the camera is below the water surface.